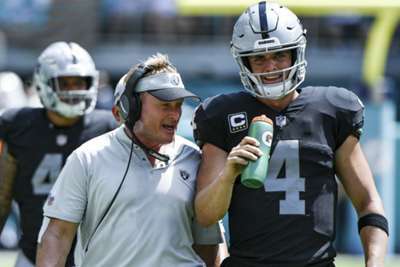 Oakland Raiders coach Jon Gruden thinks Derek Carr is pressing. The Raiders dropped to 1-4 this season after they fell to the Los Angeles Chargers 26-10 on Sunday. Carr completed 24 of his 33 passes for 268 yards and a touchdown in the loss. 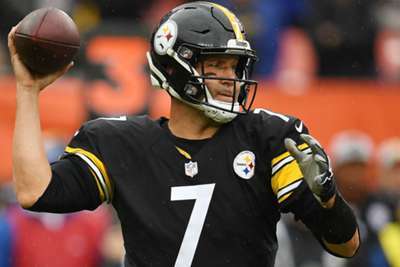 But, he threw a crucial interception from Los Angeles' one-yard line late in the third quarter that cost his team a chance to score. "He's just trying so hard," Gruden told The Athletic on Sunday. "I think he just presses at some moments and he knows we have to do a lot with the ball when we have it and I think that's what happened." Carr told The Athletic he agreed with his coach's comment. "You'll have to tell me to calm down before you have to get me going," Carr said. "That's always been a problem of mine. Not a problem – it's not a problem or a weakness. "I've always just tried to just do too much. It's not out of a bad heart. I just want to win so bad and sometimes it gets me caught up like on that one today, on a bad play." Carr has completed 71.3 per cent of his passes and thrown seven touchdowns along with eight interceptions.